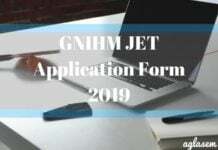 BVP HM 2019 – Application form for BVP HM 2019 admissions has been released on the official website. The Bharti Vidyapeeth (BVP) conducts a University level entrance exam, BVP HM. The entrance exam is conducted to offer admission to the candidates in Bachelor Degree in Hotel Management & Catering Technology (BHMCT) and Bachelor Degree in Science (Hospitality & Hotel Administration) BSc (H &HA). Those who are interested to appear for the entrance exam need to fill in and submit the BVP HM 2019 Application form. Being one of the most reputed universities, the number of candidates applying for Hotel Management has been increasing with each year in BVP HM. Candidates who are willing to apply must check the eligibility required by the university for selection. Selection process mainly consists of the declaration of result as per the marks obtained by the candidates. After the declaration of result candidates are called for counseling, only after the counseling is over candidates are considered as selected. All the detailed information is provided in this article further. Latest: Application form for BVP HM 2019 admission is now available. Click here to apply online. The BVP HM 2019 dates and application form have been officially released by the university. Candidates who are aspiring for a career in hotel management can keep checking this page or the official website bvuniversity.edu.in to keep a track on the dates and all other information related to BVP CET 2019. For now, candidates can check the dates from the table below. Click here to check the complete schedule for BVP HM 2019. The eligibility criteria required to apply for the entrance exam must be known by the candidates. Before applying for the course for admission candidates are advised going through the complete eligibility criteria demanded by the university. Any case of ineligibility will not be entertained by the university. The eligibility criteria for candidates willing to apply for BVP HM 2019 is listed below. Candidates must have passed the HSC examination or equivalent examination with English as a compulsory subject. Should have obtained a minimum 45% aggregate marks and for SC/ST 40% aggregate marks. 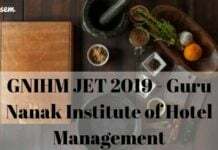 Those students who have completed the three years Diploma Course in Hotel Management & Catering Technology (National Council or State Board of Technical Education) are eligible to be admitted directly to the seventh semester of BHMCT. To be eligible for Admission to First year Degree in Science (Hospitality & Hotel Administration) the candidate should have passed the Class 12th or HSC examination of State Board of Secondary and Higher Education or its equivalent examination with English as a compulsory subject. The application form for BVP BHMCT 2019 is to be submitted through online mode. It has been made available online on the official website of the University. To apply for the entrance exam, the aspirants first need to register and then only they can proceed to fill in details in the BVP HM 2019 Application Form. In the Application form, the aspirants need to fill in details such as Personal Information, Educational Qualification details, choose a preferable exam center, etc. Also, you may have to upload scanned images of their passport size photograph and signature as per the specifications. To submit the application form, the aspirants need to pay a requisite amount of the application fee. As per last year’s information, the Foreign / NRI /P.I.O. / OCI/ Institutional Quota Merit Category candidates shall have to apply separately on a prescribed application form. It has been observed that for the past two years, the amount of application fee has not been changed much. Hence, it can be expected that the aspirants shall have to pay the same amount as last year. The application fee for BVP HM 2019 shall be Rs.1200/-. The application fee shall be payable by Online mode using Credit card/ Debit card/ Net banking. The examination for BVP HM 2019 will be conducted in offline mode. The duration of the examination will be 2 hours in which a total of 100 questions are to be solved by the candidate. The examination will be in English only and the test will consist of both MCQ and subjective type questions. Standard of the questions – The questions in the MCQ will be mainly from the Class 10th level of Maharashtra State Board of Higher Secondary Education. The Admit card will be made available to those candidates who will successfully apply for the examination. 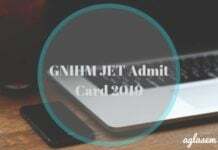 The candidates can download the BVP HM 2019 Admit Card online from the official website. To download it, you need to login by entering details such as User Id and Password. The admit card hence generated must be downloaded by the candidate. It is mandatory for the candidates to bring the print out of the BVP HM Admit Card on the day of the examination. On the day of the examination, along with the print out of the BVP BHMCT 2019 Admit Card, you must also carry a valid id proof. The admit card will consist of important details about the exam like its date, timings, and address of the test center allotted to the candidate. Must have appeared/ qualified in the HM written exam to be conducted by the Bharati Vidyapeeth (Deemed to be University) at designated centers. The shortlisting of the candidates will be done on the basis of rank obtained in the written exam. The result for BVP HM 2019 will be announced online at the University’s official website. To check the result, the candidates need to enter login details such as Email ID/ User ID and Password. The result of the written exam will be prepared on the basis of the marking scheme given by the Institute. Also, a separate merit list will be prepared for Regular category and Foreign/NRI/PIO/OCI/ Institutional Quota Merit Category. The merit list will consist of details of those candidates who will be shortlisted for the counseling process. The BVP HM 2019 Merit list will be displayed on the University’s website in pdf format. The qualifiers of the entrance exam will then be eligible to appear for the counseling as per the schedule which will be published by the Institute. As per the rank obtained by the candidates after the declaration of the result in BVP HM 2019 the candidates will then be called for the next round. The BVP HM 2019 Counseling process shall be conducted at Bharati Vidyapeeth (Deemed to be University), Institute of Hotel Management & Catering Technology Katraj-Dhankawadi. It is important that the candidates must report at the counseling venue as per the schedule which will be published by the University. The eligible candidates should be physically present for the Counselling. At the time of Counselling, the candidates must carry relevant documents in proof of the date of birth, academic details, etc. After the document verification is done, the candidates are offered admission according to their rank and availability of seats. As per last year’s information, the following number of seats shall be available for both the program. One seat over and above the sanctioned intake in each programme will be reserved for sons and daughters of migrants from Jammu & Kashmir valley and Defence and Civil Service personnel engaged in fighting against terrorist activities in Jammu & Kashmir valley. Also, 15% seats are reserved under Foreign / NRI /P.I.O. / OCI/ Institutional Quota Merit Category. The fee structure is one of Bharti Vidyapeeth this is is not been officially provided yet. Candidates can for now check the fee details of last year from below as a reference. The fee can change this year or maybe not, any change in the fee structure will be updated on this page. 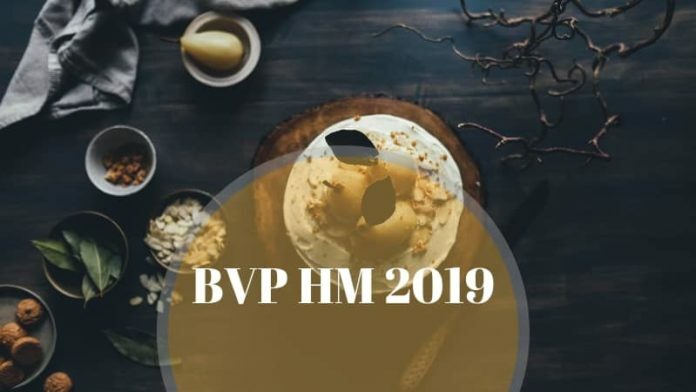 If you have any queries about the BVP HM 2019, then let us know in the comment section below. Insofar, Only the application form and examination schedule for BVP HM 2019 has not been released. Information on this page is based on last year information brochure and for reference purpose only. As soon as Bharati Vidyapeeth Deemed University will release the information it will be updated here.